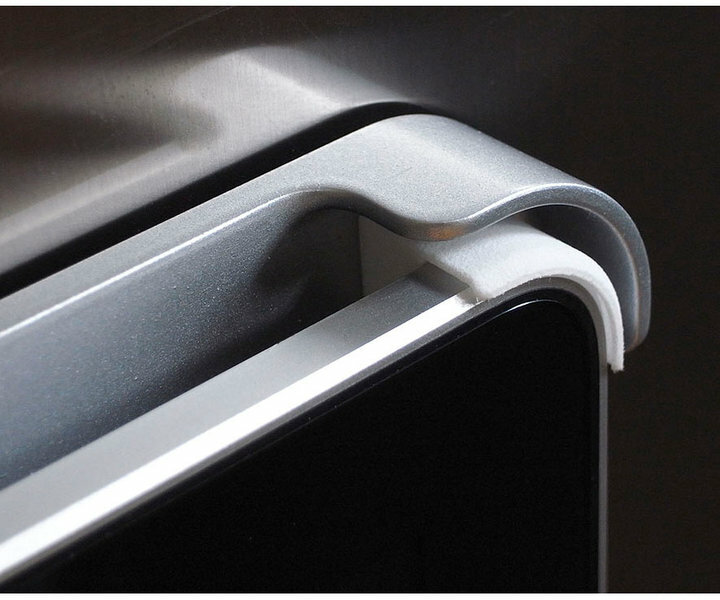 Woodford Design has announced the creation of a FridgePad, billed as “the ultimate fridge magnet”. 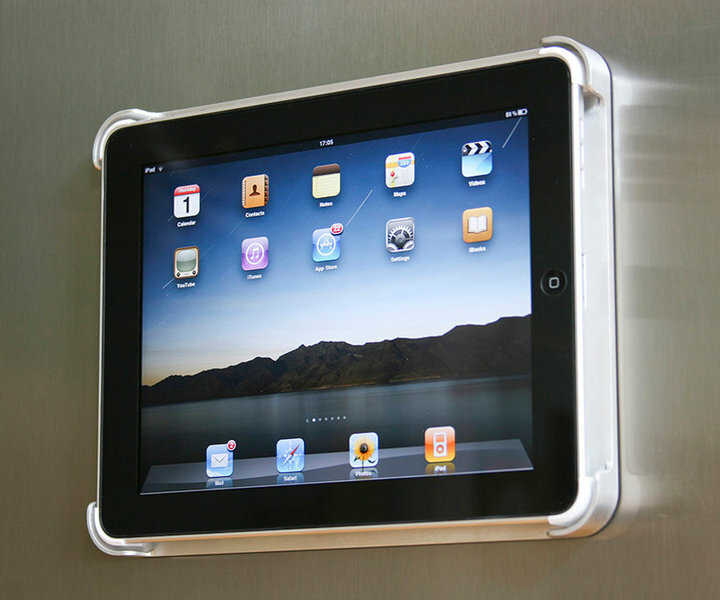 Made of aluminum with a big magnet on the back, the FridgePad holds the iPad with four plastic corner clips. 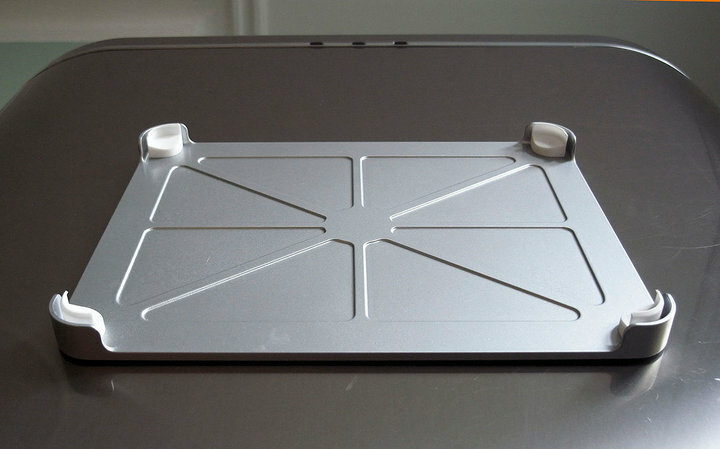 The FridgePad will make the iPad the ultimate kitchen multi-media device. 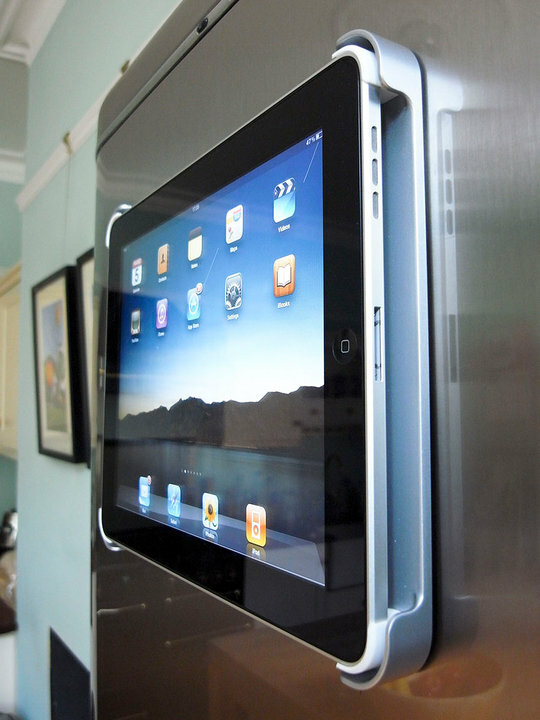 You can watch the FridgePad door slam test video.